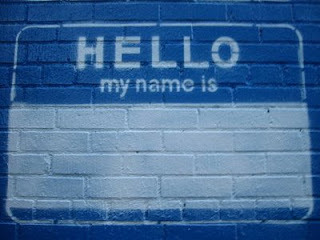 WALKSTRONG ~ www.walkstrong.ca: " Say My Name ... "
Those who know me wonder why I have “two” names. Is it Meena or is it Mini? And why the two? Until recently I use to say that “Mini didn’t seem professional enough, so I changed it to Meena. Meena is what they know me as in the workplace. It has a nice ring to it ... blah blah blah ...”. And I would of course add the story of where the name “Mini” came from ... which is a funny story for another blog. But again, the above was the explanation I use to give. And yes it is all true, but there was more to it. And now I can share what that is, because now, a huge realization set in for me. I changed my name after years of teasing ... I use to hear Mini Mouse, Mini Ravioli, and even are you a Mini or a Maxi ... yeah that one was very odd. But I also changed my name because I never really liked who I was, I never really liked Mini. I felt inadequate and un-worthy. I didn’t feel like I was good enough, for anything. I just didn’t like Mini. So this was enough motivation to change my name, because maybe it would change me. I could be someone else because I didn’t want the life I had, I wanted to be someone else, almost always. But things have shifted. And my friends may have noticed that even on facebook, I added Mini to my name. I kept both only because I built an entire life around Meena, just like I had an entire life around Mini. So what the change, again? Well, I had a great conversation with a friend who asked me if I had found the blessing(s) in cancer. And I said yes I had and there were many. The biggest one is “now, love who I am”. I have discovered self-love and it feels great. 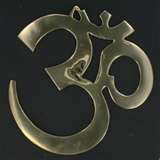 I am in alignment with my thoughts, my actions and my feelings. I feel worthy, I feel adequate and I know I am doing the best I can with where I am at right now, exactly where I am suppose to be. Well, there you have it ... and it may seem odd, but that’s okay, because I am good with odd too! Yes you can ask the question ... “what name do you prefer then?”. Honestly, I prefer that you call me by the name you feel comfortable with, as YOU know me and who I am. Because TADA! .... “it’s ME!”. Truly, a name is just a name, a label ... but it is the essence of a being, their presence and their actions who determine who they really are. Their authentic self ... and at my core, I was and still am the same person.